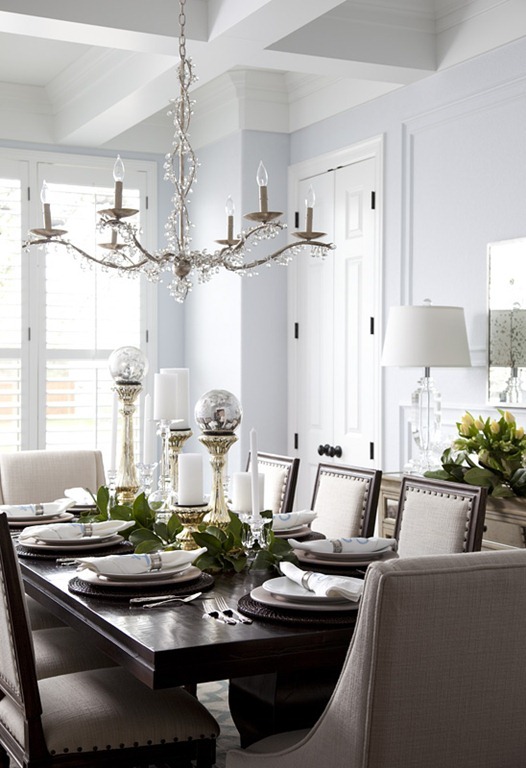 Heather Scott Home & Design is an award-winning interior design firm and sophisticated boutique based in Austin, TX. Our blog shares the tasteful home accessories, furnishings and gifts that you can find in our retail boutique. We also feature our design projects, industry trends and expert tips that hope to inspire homeowners to create the stylish & chic home of their dreams. We have been blessed with so many projects of late, I have a number of fabulous before and after photos to share. These are always my favorite because you get that ‘wow’ factor of seeing what can really be achieved with thoughtful design. 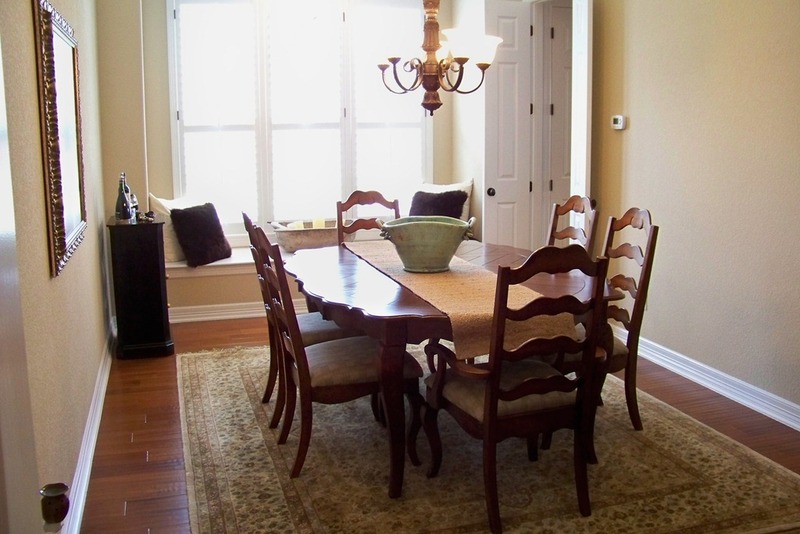 In this recently built home, my stylish, professional homeowners have a dining room that is long and narrow. This made furnishing the space a challenge (you could not have a deep buffet and still walk by the table). 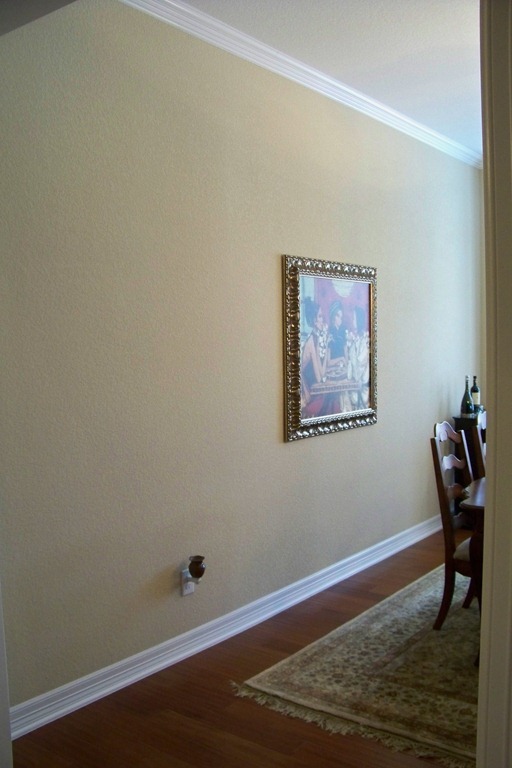 Also, no matter what art you hang, it looks too small on a long, empty wall. Gorgeous! We started with addressing the need for some architectural improvements to the envelope of the space. Primarily, adding the molding to the wall and the beams to the ceiling. Then, we could address the ‘decorating’ part- new table, chairs and narrow buffet. 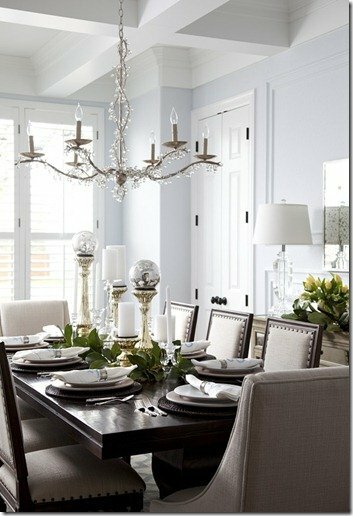 We wanted to keep the room light and airy, so we used light colors and reflective elements, such as the glass chandelier and lamps, as well as antiqued mirrored buffet and antiqued mirror. I hope you like this room as much as I do. I know the space gets a lot more use by the homeowners now that it is elegant and inviting… and isn’t that the point of owning a home, after all? Just amazing how the large beams in the ceiling actually make it appear larger. This is lovely. Beautiful….what an improvement. 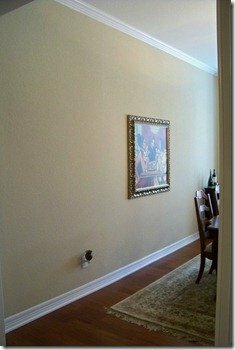 Do you have a picture of the long wall? It woold be nice to see that wall after the remodel. We LOVE it! 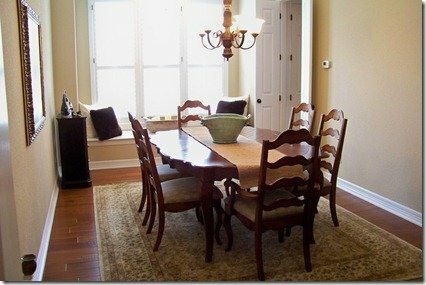 This is our dining room and get compliments on it every single time anyone is in our home….Well, we get compliments on everything Heather has done in our home and looking fwd to other rooms being installed soon. Wow, Heather. That is stunning!!! I have been waiting to see where that chandelier would appear as I think you gave us a tease in a previous post. Absolutely love it! This is stunning! Where did you get the table and chairs? All the products came from our retail store: Heather Scott Home & Design. If you are interested in any of the items, email us at: info@heatherscotthome.com! I’m so obsessed with this room! My mother had printed out the picture of the final and we are redoing her dining room to match! You are so talented! What color did you paint the walls? It’s the perfect shade of blue! your rooms are beautiful. 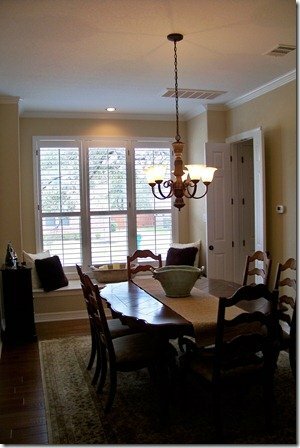 by any chance do you remember where you purchased the dining room chandelier from? is this something you sell? thanks so much. Hi Janet, yes this is something you can still order and you can purchase it through us. Feel free to email us at heatherscotthome@yahoo.com for pricing and more information! Beautiful!! I will look at your website!! Can you recommend the name of the paint color? Love it!! Hi Ann, thank you for the kind words! The color is Blue Veil by Benjamin Moore. The Heather Scott Home & Design name and logo are registered trademarks of The Heather Scott Corporation. 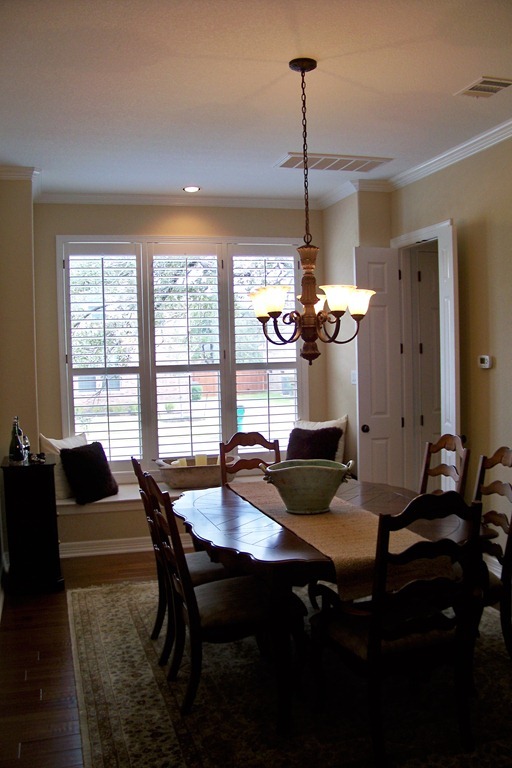 Interior Designer, Interior Decorator, and Retail Boutique in Austin, Lakeway, and the Lake Travis area of Texas. © Heather Scott Home & Design. All Rights Reserved.